With one of the most diverse landscapes on earth, Iceland is veritable buffet of geothermal spas, mountains, streams, ponies, puffins, indie rock and amiable Nordic people (VIKINGS!!!!). On this MTrek we will tour the Southern region of Iceland in a wicked awesome, off-road Mercedes, while stopping for glacier hikes, lagoon boat rides, geothermal hot spring swims, geysers, Viking raids, waterfalls and white-water rafting adventures—think the Patagonia Spring Catalog with the kids section removed. After tearing up the countryside, we will end the trip in the capital city, Reykjavik and revel in 21 hours of waking daylight. Our high-performance parkas will be stowed away and we will don leather boots with six-inch high heels, sport coats and faux-hawks while hitting the clubs in a hedonistic RAGE to alternative post-industrial EDM all in an epic homage to the Iceland’s national hero, Björk. After our overnight flight, we'll arrive in the morning to the Reykjavik airport where we'll be greeted by our tour guides. 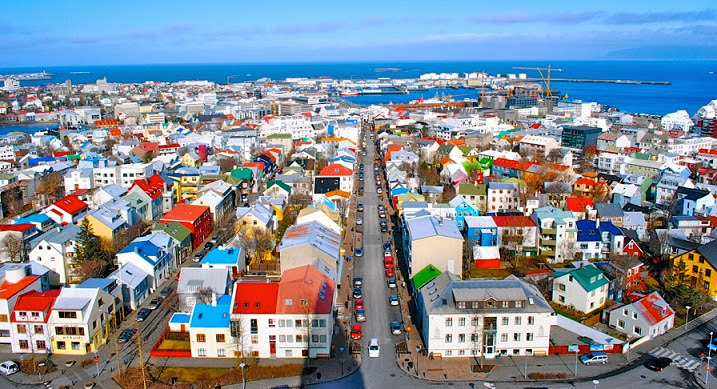 We'll grab bags and then hop into the bus for a quick ride to downtown Reykjavik, the capital city, where we'll be dropped off at the KEX hostel, (claiming to be the coolest hostel this side of the north pole). As we get over the jetlag, we'll explore Reykjavik, have a great meal, and certainly check out the nightlife that the city is known for. Today will be an Iceland classic - river rafting. Shaking off the hangovers, we'll board our Super Truck and head towards the river rafting base camp. But first we'll stop at some of the iconic Iceland sites on the drive. We'll pass through Thingvellir, where we'll clearly see where the Tectonic plates are moving apart. We'll also visit the number one sight in Iceland, Strokkur, the geyser hot-spring which reaches a height of approx 25 meters when it erupts! Additionally, Gullfoss the golden waterfall is surely a sight to remember which is our last stop before arriving at the rafting camp. The rafting itself is approx 3 hours. The Hvita river is perfect for rafting and even the inexperienced will enjoy this to the fullest. Afterwards we'll stay the night at the rafting camp, have a nice dinner and play drinking games/icebreaker games (no pun intended) so that we can all get to know each other better as we embark on this amazing week together. Today we'll drive towards the unique area of Landmannalauagr. Landmannalaugar is a place like in a fantasy saga, just absolutely surreal and quite impossible to describe. We'll see the most amazing colors in the Icelandic nature. Once in Landmannalaugar, we'll go explore natural pools, and jump in for a relaxing bath, out in the middle of nowhere. In Landmannalaugar we will do a hike amongst the Rhyolite Mountains and see some of the most beautiful colors in Iceland. We'll stay the night here in Landmannalaugar. Today we'll hop back in the Super Truck and head towards the area of Fjallabak. This will be the heaviest driving day, however, the drive will be absolutely incredible as we wind through the highland mountain roads (tracks) and soak in the spectacular scenery. Here we'll have unique sights like Eldgjá and many more. This highland road is one of the most amazing routes scenery wise in Iceland. Here the mountainscape is quite unique since it ́s an very active area. We will reach Svinafell and the huts you will be staying in late afternoon. Svinafell lies at the edge of Vatnajokull, Europe’s largest glacier. For dinner tonight we'll have a nice barbeque from our amazing chef. We'll start today with a great breakfast and then start driving to the Jokulsarlon glacier lagoon and Skaftarfell. Today's drive will be very interesting as we see fields of lava and more surreal mountain scape. Once at the glacier lagoon we'll do a boat ride (a la James Bond style). This amazing lagoon is unique and a great place for photo-shooting. The main lagoon measures about 7 square miles (20 km2) and until 1932 was covered in thick glacial ice. Then the glacier started to retreat, and nowadays more than 300 feet (100 m) of ice breaks away each year to reshape the lagoon and fill it with huge spectacular icebergs. We might even be able to see a seal or two swimming around. After this amazing adventure day we'll return to Svinafell huts for the second night. This day is all about the South coast with it ́s unique sights and beautiful water falls, like the impressive Seljalandsfoss, and powerfull skógafoss which carries water from Eyjafjallajokull and Myrdalsjokull. While at the Seljalandsfoss falls, the brave can walk behind the cascade of water for an experience like no other. When we leave the main road we'll need to deflate the tires. This will allow us to drive off-road tracks to Gigjokull, a glacier tongue from Eyjafjallajokull. This is where the flood came bursting down when the eruption started. Here we'll have many rivers to cross and rough tracks, but this route is a great challenge and a blast to adventure through. The black volcano beaches of the south leaves no one untouched with panoramic views over the Atlantic ocean on one side and glaciers on the other. Sights like Dyrhólaey are quite impressive and on the black beaches we'll have a view over this little island. We'll stay the night nearby, in Thorsmork, at the Stracta hostel. On the drive from Thorsmork we'll visit some amazing canyons with green moss walls and waterfalls. Before returning to Reykjavik we'll take a hike to the unique area called Reykjadalur, or smoky valley. Here you'll have a fantastic chance to take a bath in the many hot springs that float down the slopes of the mountain. We'll find a little pool and lie and relax watching the rhyolite colors in the mountains. The hike itself is approx. 2 hours back and forth. This is a place people love and great to see before returning to Reykjavik for the night out in the party capital of the north. Quite famous for it. Today, we'll visit the one and only blue lagoon. Here you will have the perfect chance to relax and revitalize in surreal surroundings. The tour to the Blue lagoon is approx.. 5 hours in total with transport. We'll do some more exploring of Reykjavik, see the beautiful sites and end our last night in Iceland with a big night out at the clubs.